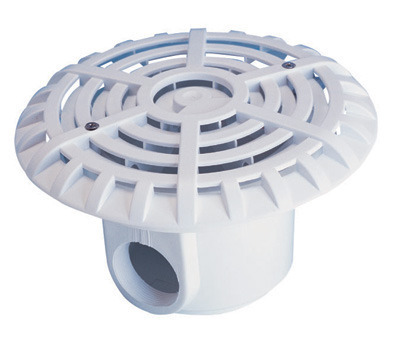 Backed by continuous support of experienced personnel, we are offering a widespread assortment of Main Drains. Our team of experts uses finest quality raw material and most up to date technology in formation process. This product is available in variety of models and as per the clients’ requirements. Furthermore, the offered assortment can be accessible within time. Bikon Water Treatment Pvt. Ltd. is amid the conspicuous entities engaged in manufacturing and supplying an elite array of products such as Water Treatment Plants, Waste Water Treatment Plants, Sewage Water Treatment Plant, Desalination Plants, Chemical and Water Analysis Products, Pool Filtration Equipment, Pool Basin Equipments, Pool Side Equipments, Industrial Blowers, Pool Pumps and Spa Pool Side Equipments. We also service provider of Turnkey Installation Water Management Systems. Due to their superlative characteristics such as application specific design, precise dimensions, high durability, sturdy construction, rust proof and excellent finish, these presented products are credited amongst our patrons. These products are developed and made up at a hi-tech production unit making use of supreme quality basic material altogether with futuristic technology in conformism with market quality principles. To add, these products can also be acquired by our honorable customers in varied at market-leading rates within the assured time span.